Description: Paris, 1796. Aristide Ravel, freelance undercover police agent and investigator, is confronted with a double murder in a fashionable apartment. The victims are Célie Montereau, the daughter of a wealthy and influential family, and the man who was blackmailing her. Information steers Ravel toward a young man with a violent past who was in love with Célie, but further inquiry reveals that—according to an eyewitness—he cannot have been her murderer. And recent, notorious miscarriages of justice lead Ravel, beset with fears of sending an innocent person to the guillotine, to doubt his instincts. 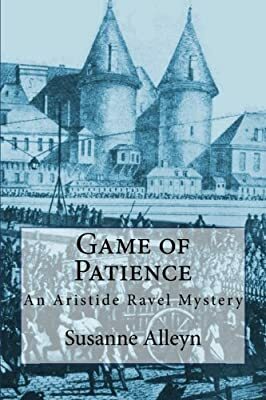 From the gritty back alleys of Paris to its glittering salons and cafés, through the heart of the feverish, decadent society of postrevolutionary France, his investigation leads him into a puzzle involving hidden secrets, crimes of passion, and long-nurtured hatreds.